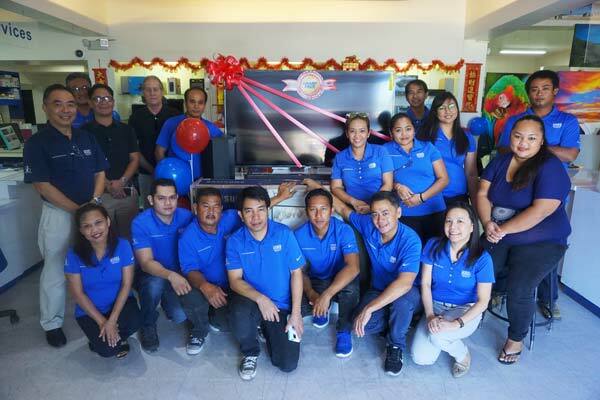 Saipan Computer Services Inc. ended its 12th “Customer Appreciation Raffle Promo: yesterday by giving away many prizes that included smart appliances, gadgets, and accessories, with the top prize—a curved 65-inch television set—going to James Calderwood. A total of 25 lucky winners were picked out of 4,600 coupons, which is the biggest number of entries raffled to date. 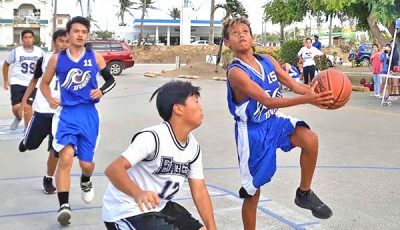 “This raffle is for the people of Saipan. It was originally set in November but Super Typhoon Yutu happened. We waited because we knew people were busy with their own things…so we thought we could get a larger segment of the market after things have settled down. 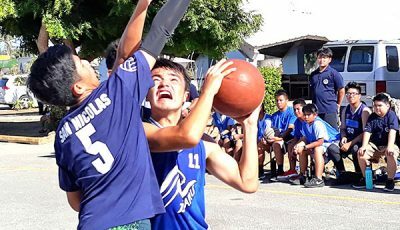 That is why we started in December,” SCS president and owner Jerry P. Tiu said. “This raffle is our company’s way of showing our appreciation to the patronage, support and, most importantly, the confidence of our customers in us. …We call them ‘business associates’ [rather] than customers. We do our best to gain that loyalty by giving the kind of service that we have, accommodate their needs and being up-to-date with the latest technology,” he added. Calderwood took home the grand prize—a Samsung curved 65-inch smart TV and a Samsung curved soundbar. “I submitted only one raffle entry and winning the grand prize is like winning the Super Bowl… SCS is my go-to store with any gadget that I need and they always have it,” he said. “I thank SCS and this raffle is a good way of returning the business that they get from the community. I always say patronizing local businesses on Saipan is the best thing. Sure, it is easy and we pay less online but, by [patronizing] local businesses, we all win in the end,” he added. Major prize winners are Jennifer Hanson (Apple12.9 iPad Pro with Smart keyboard), Soledad Sasamoto (Samsung Galaxy Note8 smart phone), Bruce Iglesia (Pyle Smart Projector), Jayceon Lizama (Shark ION with WiFi smart vacuum), Nao Macaranas (Apple Watch Nike smartwatch), Claudei Larson (Lenovo Smart Display), Norlyn Cabrera (Fitbit Aria 2 WiFi smart scale), and Mi Yun Kim (Echo Dot smart speaker with Alexa). 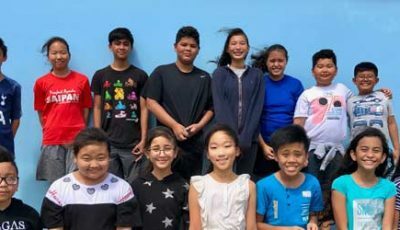 Minor prize winners are Vanessa Diaz, Mi Yun Kim, Tatsu Suzuki, S. Borja, S. Framson, (won twice) Chris Crane, Evelyn A. Gonzalez (Nike Paseo de Marianas shop gift certificates) and consolation prize winners are Ruel Villacrisis, Carlos Feger, Mi Yun Kim, Shawana Sablan, Thomas Isus, Angie Punzalan, Ma. Rosario dela Torre, and Jon Frederick Banayos. SCS was established in 1986 but Tiu took over management in 1994 and, according to him, SCS will continue to bring the best tech related appliances and gadgets on island. “Supply is not easy because of various reasons like logistics where we have to ship things and sometimes the market can be very choosy. But we always make sure that they know that we can get it for them… We work our logistics so we can bring it here in a more palatable period or faster span of time because, otherwise, an order may literally take months, especially if it is big like a 65-inch TV,” he said. “Survival is key… but we are committed to be better than we were in the past. …We will be here as long as the community needs us. We want them to know that they can always depend on us,” he added.